Lawyers for Ross Ulbricht have spent the last two months shifting the focus from their client, charged with creating the billion-dollar drug market the Silk Road, and putting it onto the potential illegality of the FBI’s investigation. Now the judge in that case has spoken, and it’s clear she intends to put Ulbricht on trial, not the FBI. In a 38-page ruling Friday, Judge Katherine Forrest dismissed the defense’s motion to suppress evidence that hinged on the argument that law enforcement had violated Ulbricht’s Fourth Amendment right to privacy from unreasonable searches. Just last week, Ulbricht’s lawyers went so far as to contend that the FBI had illegally hacked a Silk Road server in Iceland without a warrant to determine its location. Ulbricht’s defense lawyers didn’t immediately respond to a request for comment. Forrest’s decision follows a lengthy pre-trial debate that came to center around the mysterious events that led the FBI to Ulbricht’s alleged Icelandic server. In early August, Ulbricht’s defense lawyers filed a motion to suppress all the evidence in Ulbricht’s case that they argued had resulted from the potentially illegal search of the computer Ulbricht allegedly rented in a Reykjavik data center to host the Silk Road. 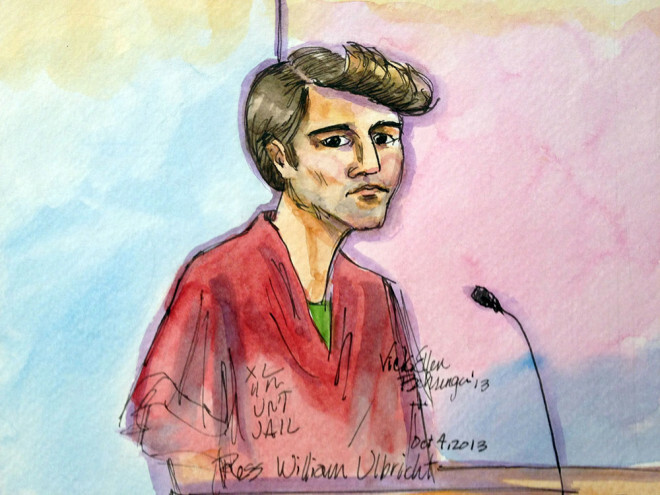 If successful, the move would have likely made Ulbricht nearly impossible to convict on the central charges of narcotics and money-laundering conspiracy that he faces. The prosecution, however, responded with an affidavit from the FBI that described how it found the Silk Road server. According to the bureau, an agent simply entered “miscellaneous characters” into its login screen until a misconfiguration in the anonymity software Tor leaked the site’s IP address. If successful, the move would have likely made Ulbricht nearly impossible to convict. The security community and an expert witness for Ulbricht’s defense quickly began to find major inconsistencies in that story. They argued instead that the FBI’s account sounded like a thinly-veiled intrusion using common hacker techniques. The defense called for a hearing to cross examine the FBI. But the prosecution’s final response to that argument barely addressed its hacking accusations. Instead, the Justice Department lawyers told the judge that it didn’t matter whether the Silk Road was hacked. Even if FBI agents had remotely broken into the Silk Road without a warrant, that would be perfectly legal, according to the government filing. They pointed to the foreign location of the server and its ownership by a third party web hosting. Several of those arguments had serious weaknesses, Stanford Law professor Jennifer Granick told WIRED Monday. The FBI’s ability to hack any website abroad without a warrant has never been established in court. Because the Silk Road ran on the Tor anonymity software, the FBI couldn’t have even known who hosted the server or where before it performed its intrusive search. The FBI’s ability to hack any website abroad without a warrant has never been established in court. Forrest’s ruling comes as a blow not only to Ulbricht, but also to others in the privacy community for whom the defense’s motions could have set important precedents. After all, the prosecution in the case had argued that the FBI can—more or less—legally hack any website in the world without a warrant.